Electro fishing and fyke netting, making traditional stone tools and weaving with traditional materials will the topics covered as part of a cultural sharing day to be held in Cohuna on Barapa Barapa Country on 13 April. 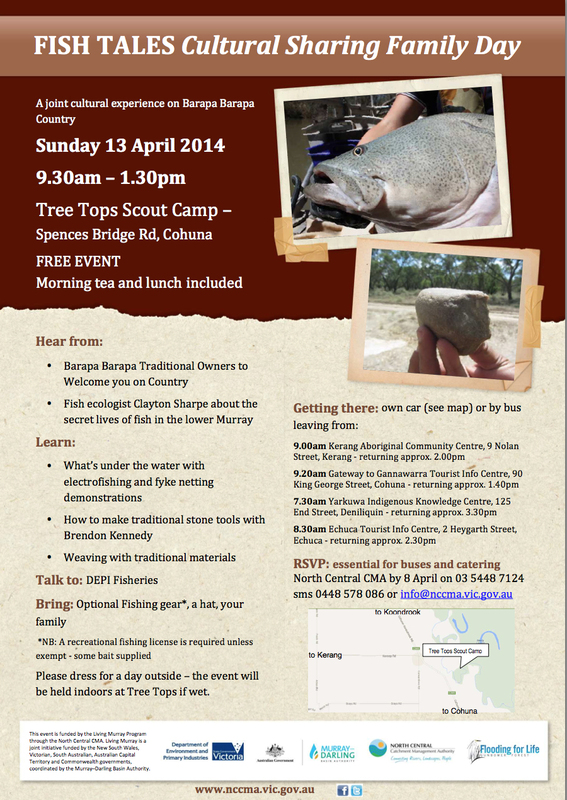 The Living Murray Program through the North Central CMA is organising the event. To find out more about the day and for RSVP details, download this flyer.